Made from microfibre and polyurethane foam, these pads replace the traditional foam pad surface with a more responsive microfibre. Tip: To keep the microfibre surface working at its peak, rinse pads in hand warm water and air dry. 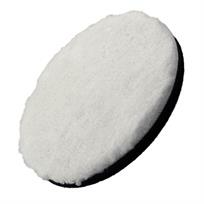 If available, pads can be dried with an air gun to help keep the surface open and fluffy.